Grid settings - Set portfolio items grid columns and gutter. Container box style - Adjust .thz-items-grid-holder box style. Animate items - Add animation to items HTML container. Items - Create your items. Item label - Set item sorting label ( used in builder only ). Item in box style - Adjust .thz-grid-item-in box style. 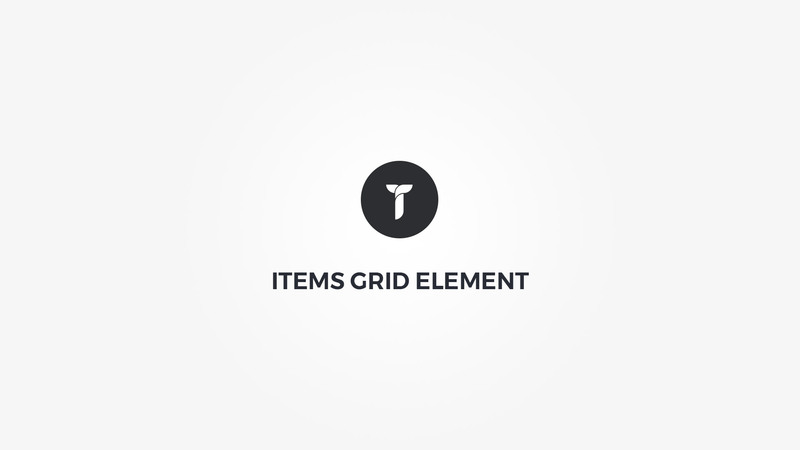 Item element style - Adjust .thz-grid-item-element box style. Item element content - Insert element content.